Think it is impossible to be a working mom and cook real food? Think again! If you are a regular reader then you know I am not a ‘stay at home mom’ – I work a full-time corporate job for IBM. However, I do work from home which has allowed me the flexibility to develop a real food cooking strategy that is efficient, simple and will work for others. So how do I find the time to cook real food from scratch without collapsing at the end of the day? I am going to share all my secrets with you. Focus on cooking a full dinner 2-3 nights a week. In our family that includes a protein, vegetable and rice/corn. If you are on a paleo or grain-free diet then you would skip the rice/corn. Have a regular ‘breakfast for dinner’ night (eggs, bacon, grain-free banana pancakes, etc.) one night. Head out to your local farmers market one night. On other nights, do leftovers, a family night out or a date night! “You don’t have to cook fancy or complicated masterpieces – just good food from fresh ingredients” – Julia Child. Source local ingredients. Your food will sing without a lot of fuss – I promise you. Keep recipes simple. Today’s recipes may be complicated. Stick to the simple ones! Fat makes food delicious and filling. Add as much butter as your veggies can hold after steaming or roasting. Make real homemade ice cream. Most store-bought ice cream is full of chemicals and thickeners. This is an simple make ahead dessert. Reheat your food on the stove or in the oven. Food reheated this way tastes like it was freshly made not nuked. Focus on the goal of sitting down to eat together not in two minutes intervals. When food is reheated properly it will all be hot and ready at the same time and will also remain warm for second helpings. Plan ahead. Try making everything on a Sunday or prep ingredients in the mornings before you take your kid to school or cook during the day if you work from home. Do quick searing and grilling about 15-30 min before dinner is served. In most cases the meat will need to rest. For salmon filets, quickly sear them skin side down and then remove from heat and cover the pan. After about 15 min the salmon will be cooked perfectly. Make and ferment your mayo and ketchup to store in the fridge for up to a month. Always keep raw cheese and hard boiled eggs on hand. Raw cheese is very easy to find. Cook double what you need. Roast two chickens and freeze one of them. Then use the frozen chicken another time when life gets in the way. Make extra rice – eat what you want for that meal and then save the rest for the next real dinner night or freeze the rice to use another time. Make chicken broth (where to buy broth) on a regular basis and store in plastic delitainers or ziploc bags in the freezer. Note: don’t heat the containers or bags – they are plastic. Quick defrost them in hot water in the sink and then the contents easily release into a pot on the stove for re-heating. Save all the roasted chicken or beef bones of any meats you eat throughout the week in a plastic bag in the freezer. When you get a pretty full bag, add them to a pot with an onion, carrot and celery and simmer on low for 24 hours. Use the meat/chicken from making broth to make stir fry, curries, enchiladas, tacos, chicken salad, etc. Cook a big batch of black beans in chicken broth. Store in the freezer in small containers and take one out each week for school lunches. Join a CSA (Community Support Agriculture) program. Your veggies will be selected, boxed and ready for you to pick up each week and will taste better than the supermarket. Buy local produce, eggs, cheese, milk and meat at the Farmer’s Market or farm. Buy meat locally and in bulk. My garage freezer is my butcher counter. Enlist someone else to do the weekly grocery store run now that your list is a lot shorter. My chest freezer full of local meat! Take a cooking class. It will be the best money you ever spent. The two most important classes to take are knife skills and cooking techniques (roasting, sauteing, steaming, braising, etc.). Avoid classes that focus on one type of cuisine. Get a sous chef. Mama’s little helpers can probably do a lot more than watch your kid. Have them prep vegetables or set the table. Have a kitchen playdate with a friend and their kids. Nothing is perfect. Be flexible. Real food isn’t consistent like the stuff you buy from the grocery store. You will burn a pot of beans. You will cook a steak too well done. You will forget to heat up dinner. You will make mushy pickles (ew!). You will get too busy. Keep calm and carry on to plan B whatever that may be. Happy Real Food cooking! You can do it! Is cooking supposed to be fun? Love this, thanks Lindsey Bernat Gremont, you're superwoman! Thanks Linny for all your thoughtful hints. I have incorporated many in my life and they do make a big difference in taste and health. I'm so proud of yiou and admire your passion on this vitally imporant topic. 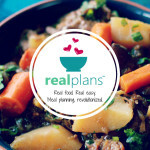 We should all eat only real food! 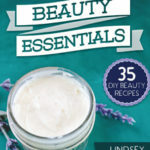 These are great tips – thanks Lindsey! This is really good advice even for a SAHM. I never used to cook and am slowly learning (at age 41!) and am struggling with menu planning. Thanks! Glad you are finding it helpful! Any other tips for SAHMs you have to share? I am sure people would love to see them! These are great tips! I only work very part time, but with two small children and a husband in grad school, I can certainly use time saving tips, too! This is great. I'm sharing! Thanks for these! People always ask me how to eat real food with a full time job. Ill be sure to share this! I would love it if you would share this on mt new linky party Natural Living Monday. I know my readers would too! Thanks – I just added it to your linky party! I be sure to post there weekly now so thanks for letting me know! You did a great job with this! I am so with you on the 2-3 meals per week gig. On other nights, I try to put together a quick soup or pasta dish with the leftover broth and/or veggies. Our only challenge now is to stop eating out so much! Great tips!! Thank you so much! Thanks for all the helpful tips, Lindsey (great name BTW). I am a SAHM, but I am going back to school so my time in the kitchen is limited. I recognized that Sandcreek Farm label in your freezer, Ben and Alysha are THE BEST! too funny that you know them – they rock! I work 40+ hrs a week with an hour commute. I like to try to make one pot meals that I can prepare, put on the stove and then leave alone for a few hours. For ex. I might add some turkey legs w/ potatos and broth. This means I don’t have to hang over the stove fussing w/ it, plus it’s covered up and the dogs can’t get into it. I can go do something else for a few hours until my partner is home to eat w/ me. Thank you for this awesome post! I work full time outside of the home and have to get dinner on the table as quickly as possible. Besides using a crockpot and having freezer meals stashed away, I realized I can cook real food every night if I do some prep the night before. This usually just involves some chopping of veggies and it doesn’t take too long, but it saves a lot of time when I go to cook them the next night. I don’t have much time on weekends to do prep work. I forgot to mention that I’m going to be starting my own vegetable garden based on the Square Foot Gardening method. It seems to be a pretty low maintenance way to garden. Once I get it flourishing, I won’t have to go to the store as often. I’ve considered CSA’s but I think they’re too expensive for the little produce they provide. The company I work for is going to start having a weekly farmers market — that will be a true blessing to me if the prices are good. Regarding your tip for making homemade ice cream, have you tried “one-ingredient ice cream”? You just freeze bananas and run them in a food processor. The pectin in the bananas gives it an ice cream consistency. I agree with you on the ice cream. If I’m making or eating real ice cream, it has to be made with cream! Lindsey, I am terrible in the kitchen, just a disaster. I would really like to take a cooking class or two to learn some basic skills as you mentioned. Anywhere in Austin that you would recommend? Thanks! I took a knife skills class at Whole Foods that was excellent! Great tips! I try to do these, I am just no good at planning ahead. I pinned this page as a reference. Hi, thanks for the great post! Where do you buy in bulk for the best value on things like almond flour, nuts, spices, etc. (preferably organic)? Thanks so much! We haven’t been using almond flour or eating a lot of nuts lately but I have been looking for a bulk source. I believe Kitchen Stewardship has a post on this. Anyone have a good source they can post here for all to try? This is definitely just as helpful for stay-at-home moms. I really have so little time in the kitchen without kids around bothering me. Dinner is very often a rush through crying, whining, and a mess everywhere! Good ideas Lindsey. Many of these are tactics I also use. Fortunate to telework today (although that isn't usually the case) so we are having Rosemary Pot Roast! Thanks for a great post… just found it thanks to the Just Eat Real Food FB post. Any tips on using those items from the freezer other than the ones in the delitainers? I can’t get in the habit of meal planning and am always forgetting to take the meat out of the freezer. Or I take it out in the morning (or even the night before), but have to leave it in the fridge and it isn’t defrosted when I get home. Thanks!! In a pinch you can put the meat in a warm bowl of water and it should defrost pretty quickly. This will work very quickly for a package of steak but not stew meat which requires a bit more planning! 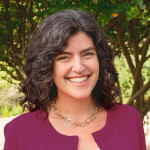 While not a working mom, I am a working wife with a demanding technology job. Trying to balance that with my desire to prepare healthy meals for me and my husband, I’ve started to use many of the same tips you have above. Thanks for such a complete and thorough list! About twice a month, I try and spend a few hours on a Sunday with a mass food prep. Easy, nutritious food – not fancy by any means – but I’m usually able to stock up 20-30 prepared meals in the freezer to make it easy for us to grab and go for lunches and dinners the rest of the time. Throw in crock pot cooking, and dinners have become SO EASY! Lindsey, I wanted to let you know that I’m having a problem with your blog. Whenever I go to your posts there is a big white panel across the right side of the first few paragraphs. I think perhaps it is coming from your social media plugin? (The plugin wants me to switch back to my personal Facebook profile, instead of using Facebook as my fan page.) It makes it hard to read the beginning of the post. I hope this doesn’t sound rude, or anything–I just thought you might want to know. Yes–it wants you to be on your personal Facebook. I have seen the same problem on other blogs. No way to fix it really. It only happens to people with FB pages! Sorry – just switch and it will be fine! These are great tips! I’d like to piggyback onto your tip about saving bones in the freezer for making broth. I also save the onion skins, celery leaves, carrot peels when I am prepping vegetables in a bag in the freezer. I call it my Soup Pack. When the bones bag and the soup pack are full, it’s time to make a batch of broth. I do this too! I also add garlic to the broth, and cayanne pepper when we are sick. When Im making broth I triple or more the batch, and then freeze what Im not using. Love this post! Thanks for helping out all the working mamas! 1) I always worry that if I do “breakfast for dinner”, I won’t get enough veggies into our diet that day. Dinner is usually our meal where we load up on veggies. How do you counter the veggie-free (usually) breakfast meal at the end of the day? 2) I try not to serve rice more than once a week due to arsenic concerns. Is that something to be concerned about? Also, I guess I have always viewed rice as kind of an empty starch. What type of rice do you cook? 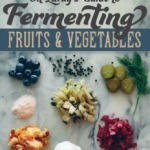 3) What’s the best way to serve fermented veggies? Thank you for this post. Keep the working mama/foodie posts coming!! I sometimes serve kale chips or other roasted veggies with this dinner…if I have the time. We always eat kraut with our sausage as well. I am not sure anyone really knows the answer to this one. My personal feeling is this: we eat an almost 90% real food diet. I think our bodies can detox effectively. If rice bothers you don’t it eat. It doesn’t seem to bother us and I really like getting our bone broth this way. We generally eat it twice a week and I try to buy from California vs. Texas where supposedly the arsenic is lower. I eat them as a condiment with every meal. All you need is one bite to get beneficial bacteria. i love your spirit and your enthusiasm for what you offer to us in recipes and tips for making it easier to eat well. My wife has taken this office job for the last three months and we decided that I work from home. Naturally, I get to do the cooking, but I was never too gifted. And we’re both fans of organic and natural food, so your post really helps me a lot. You may not have thought of it, but your ‘Real Food Survival Guide for Working Moms‘ is actually great for stay-at-home dads too. Wow! That was a great read! Thanks for your positive uplifting and wise guidance. I work (wish it was at home) and take care of my 90 year old father. I try to give 3 squares/day, but have only just started looking at that label with all the soy and fructose in everything I buy at the store. Especially since I just learned that soy destroys the thyroid function. My sister was caring for my dad before and she had him stop drinking milk and replaced it with soy milk. She also had him put on thyroid meds along with his heart meds. He has been living with me for 2 and a half years now and we are pleased to say, he no longer takes ANY meds, goes on 1/2 mile walks, up and down stairs, and is in pretty good health. But I want to fix everything. So we get his blood work done once or twice a year to see where we are. I recently started juicing, and want to juice for vitamins and minerals so that he can also quit the Osteo Calm supplement for magnesium. I read all I can find for low hemoglobin, thyroid, brain fog, etc and try to find what foods, herbs and spices will help him (and me). I just recently discovered wheatgrass juice and he had his first 1oz shot of it this week. I read all about bucha and fermentation and how he needs it in his diet. He loves coleslaw and wants it every day, but I had been buying it at the store, but only recently read what’s in it. Today I made his coleslaw myself but when I remembered I needed some sort of mayo for it, I read the labels on my mayo and the first thing listed is soy oil! I got mad and looked up how to make your own mayo. Read some, found jules blog, then kept reading, found how to make my own sauerkraut and now your fermented mayo and ketchup! I have learned so much since I started taking care of him and I just hope that when I’m 90 someone will take care of me the very same way. I may even start a non profit organization that will take care of elderly in this way. I can’t believe how I’ve changed my way of thinking about the food we eat just because I want him to have the very best and get over every slight ailment, though he says he has NO ailments. I tend to believe that no matter how old you are, if you change your diet to healthy, you can use the food you choose to build up your body and to use as healing for most conditions. I especially love your timesaving tips on how to do it all. Thank you for passing on how truly wonderfully made you are. Thank you for your kind words! So exciting to see so many learning new things here!